"So distinctive are the pentimenti in Diebenkorn's art that each painting carries within itself the visible history of the artist's search." Outside my window, fireworks are streaking across the evening sky. A group of young adults are gathered down below. Lightly boisterous after a day in the sun, checking their phones for the next event. "Don't get too close", they say as they light a small firework in the park across the street. The group runs. The miniature explosive was a dud. Smiles and backslaps as they walk down the street. Further in the distance a dull thump echoes down the way as a firework lifts off - exploding at its apogee. In the rolling Santa Monica fog, the explosion is now a muted glow on the horizon. When I was a kid, my family would drive to the local July 4th events. I remember when I was in High School watching the bicentennial festivities in 1976 from the Marine Corps headquarters in Arlington, Virginia. I gazed across the Potomac towards Washington DC at the French designed fireworks program and saw art in the skies. Carter would be elected later that year and I felt a sense of hope in the future. My dad, a veteran of the Korean War and the Vietnam War never flinched at the explosions. But, years earlier when I played as a small kid with my toy soldiers strewn across the family room floor, I would often whistle an incoming shell sound that was inevitably followed with a "Knock it off!" barked from my Dad. It seemed like a game to me but it wasn't - I learned that many vets find memories of distress in the crackle of explosions and I now try to honor that. I was only five in 1965 and the small gap in time between the Cuban Missile Crisis and the Vietnam War defined my early childhood. My physical playground was often found in the hills of the Marine Base in Southern California we called home. Camp Pendleton sprawled across the maps my parents carried in their Buick. Pendleton still acts as a physical barrier between the southward sprawl of Los Angeles as it bleeds into its cousin Orange County and the northward creep of San Diego. As Marine Corps dependents, military brats, we had almost free run of the base in Camp Pendleton. Dressed in cast off, or surreptitiously borrowed, uniforms of khaki or forest green military duds accented by denim and Converse shoes, my older brother and I with a crew of neighborhood kids played soldier in our fathers’ training ground. On weekends, when our neighbors gathered outside to barbecue freshly hunted venison, we would scamper to Combat Town. 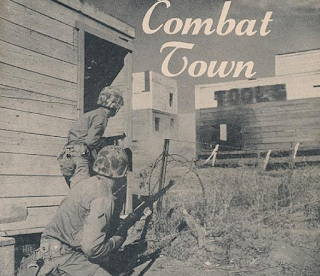 This urban battle training ground on Camp Pendleton was first constructed during the 1950’s as a simulated Korean town smacked down in the California chaparral. As if on a set from the TV show Combat, we acted out the parts of valiant sergeants and dutiful privates in this dystopian war ground. Blown out walls reeked of cordite and sweat. The older kids would leap from open second story windows, writhing from imagined wounds. Younger ones like me would gather the spent shells and dull green ammo boxes that littered Combat Town. I would store my plundered gear in the garage and then find the others finishing off the last bits of meat from the barbecue or sipping on coffee in the dry California night around Chosin Circle. On base, the Marine Corps would often name streets for battle sites from their history. Chosin Circle, where our house was located, was named for one of the bloodiest battles of the Korean War. I grew up with stories of the vaunted 1st Marine Division surrounded by ten Chinese divisions. Running low on ammunition, the Marines radioed to headquarters for resupply using the code word for mortar shells. The code word was Tootsie Rolls and that’s what they got parachuted to them in the freezing Korean Winter. Fueled on by not much more than grit and the airlifted candy, the Marines battled their way out of the trap. My dad liked to quote 1st Marine Division General Oliver Prince Smith who, when asked if his company was retreating, barked back: "Retreat? Hell, we are attacking in another direction." More than memories of the Corps hung around our house, hints of my future passions were also hidden on Chosin Circle. Ours was a house of secrets. Once when probing the deep recesses of our garage, I found combat camouflage paint sticks in a green Marine Corps issue locker. Stacked nearby, I also found oil paint by number kits that my brother and dad liked to play with. I drew jungle green and black stripes across my hand with the camo gear and sniffed the sweet vegetable smell of linseed oil in the small do it yourself tins of paint by number paint. Theater and art gave me their secrets that day and I held tight to them. There was music too. 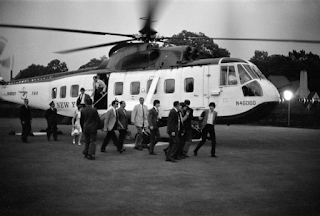 The younger kids in our neighborhood often sang in their childhood falsettos spirited renditions of the Beatles’ “I want to hold your hand.” After we moved back to Jersey and my dad was on base in Da Nang, The Beatles played Shea Stadium in August 1965. They flew from Manhattan on a helicopter skimming above the city to the roof of the World's Fair building in Queens. My dad in Vietnam was on helicopters too. 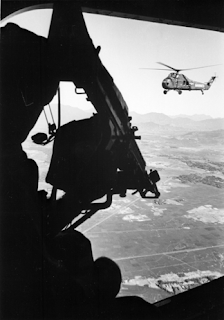 But in his photos, there was always a gunner leaning against his weapon and scanning the horizon for threats out of an open door. Commissioned a second lieutenant in June 1951, my dad was an infantry platoon commander in combat in Korea and, later, a reconnaissance platoon commander. After the Korean War, he and my mom were stationed at the American Embassy in Paris, France. After Paris, he returned to his alma mater Columbia, where he earned a law degree and then a master of laws degree at my future alma mater NYU. Following a brief stint in private practice outside of the military when my brother and I were born, my dad returned to the Corps just in time for the Cuban Missile Crisis. His unit was on full alert and geared up and would have been part of the first US forces to invade Cuba if the crisis had not passed. And then there was Vietnam. My dad - Major Chadwick- was a 3rd Marine Division lawyer. After my family left the base for New Jersey and my dad joined the 3rd Marine Amphibious Force (III MAF) under the command of Major General Lewis W. Walt in Da Nang, Vietnam, Combat Town was transformed into a mock Vietnamese village. Reconnaissance and secrets are in his blood. And maybe I carried secrets too? On this Fourth of July in 2017, I think of Santa Monica's best known artist - Richard Diebenkorn. Diebenkorn was/is a Marine. "Semper Fi! ", I say. Diebenkorn's artwork July created in 1957 is for me a quintessential American painting. 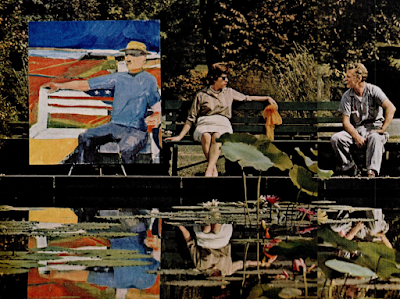 LIFE magazine in their December 1, 1961 issue described the piece as a depiction of a silent fellow occupying a patriotic bench in a blaze of colors, creating a setting of "hot fields and sky." Tonight, we are a long way from the hope found in the early 1960's. That was an era of Camelot in the Oval Office. Yet, there is a hint of melancholy found in the shadows in Diebenkorn's painting. I am reminded of the paintings of Edward Hopper that Diebenkorn admired as a young artist. Olivia Laing in The Guardian writes," Like Hopper, Diebenkorn was interested in evoking mood and emotion. Both men strongly felt the difficulty of painting, the troublesome and sometimes agonising passage from vision to completion. This is what Hopper described as 'decay': the inevitable, distressing gap between the luminous idea and its resolution on the canvas." 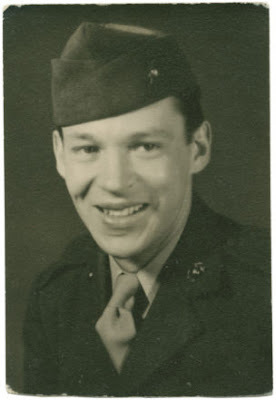 During World War II, Diebenkorn served in the Marine Corps from 1943 until 1945. While stationed at Marine Corps Base Quantico in Virginia, Diebenkorn often visited the Phillips Collection in Washington, D.C. According to the Richard Diebenkorn Foundation, "He internalized influences from Cézanne, Julio González, Paul Klee, Joan Miró, Mark Rothko and Kurt Schwitters; certain key paintings, such as Matisse’s 1916 Studio, Quai St. Michel at the Phillips Collection were especially compelling for him." Matisse's Quai Saint-Michel creates an architecture of lines that seems to pre-figure Diebenkorn's Ocean Park paintings. The painterly scaffolding in Matisse's painting is transported to Santa Monica, California and put into the service of an American vision. 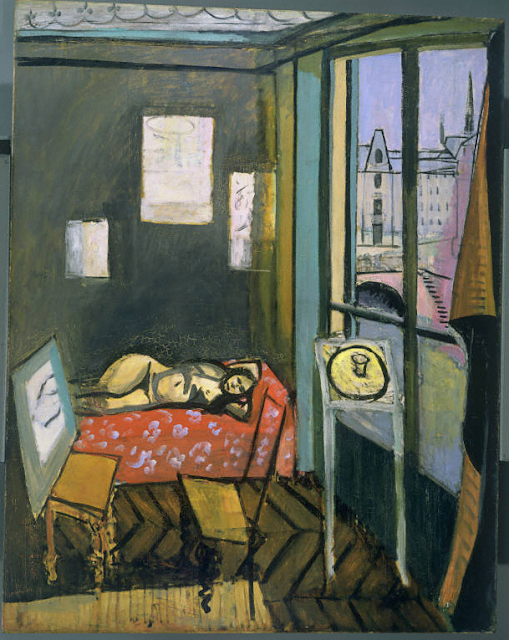 Henri Matisse, Studio, Quai Saint-Michel, 1916. Oil on canvas, 58 1/4 x 46 in. "A favorite topic was Henri Matisse. He had a large poster of Matisse’s View of Notre Dame positioned on the wall near the huge windows looking out toward the beach and Pacific Ocean a few blocks away. When I recall his studio I remember thinking that he would see the poster and the atmospheric light of the ocean at the same time. We also looked at Matisse reproductions of French Window at Collioure, Goldfish and Palette, and The Piano Lesson, and Diebenkorn spoke about the difficulty of making a gray painting—how hard it is to make something meaningful and able to connect when one of the fundamental elements of painting—color—is not present or is reduced. I’m afraid given my youth and inexperience at the time I didn’t get all the substance of what he was sharing, but what impressed me even then were his intensity, focus, and seriousness. Painting meant everything. Work meant everything." I didn't meet Diebenkorn at UCLA, but I did eventually move to San Francisco after graduate school at NYU - perhaps in an artistic search for clues left by the Bay Area Figurative movement that Diebenkorn helped engender. My painting, October Off Ocean Park traveled with me all those years. It was painted in a series of starts, stops and absences. Major compositional elements were scraped down or painted over. I worked on the painting over a series of months then years. My artistic engagement with the work of Richard Diebenkorn helped me finish the piece. I knew I wanted to get the light of a Santa Monica evening into the work. But I wasn't quite sure how to pull it off. Then finally in 2004, I moved into a studio at the Santa Monica Airport - literally off Ocean Park Boulevard. I could walk out the door and see that evening light filtered through my memories of Diebenkorn's Ocean Park series. 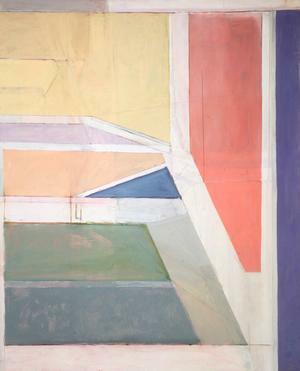 "Ocean Park itself is a community in Santa Monica, where Diebenkorn traced a daily path between home and studio, but whether or not these works make the topical references to local landscape with which they are credited, they clearly are something more than abstractions with recurrent compositional motifs, cadences, pastel tonalities, scumbled fields and tapelike forms, and stunning juxtapositions of color swept on with masterful brushwork. Each of them, for example, displays the submerged record of its own realization, and so distinctive are the pentimenti in Diebenkorn's art that each painting carries within itself the visible history of the artist's search. The nearest parallel, perhaps, would be the great drawings of Rembrandt, in which certain crowded lines converge on the sought-after contour so that the drawing and its draw-ing are one, process and fulfillment inseparable. In my view, Diebenkorn's paintings are less about the bright skies and long horizons of Ocean Park than about the act of painting." 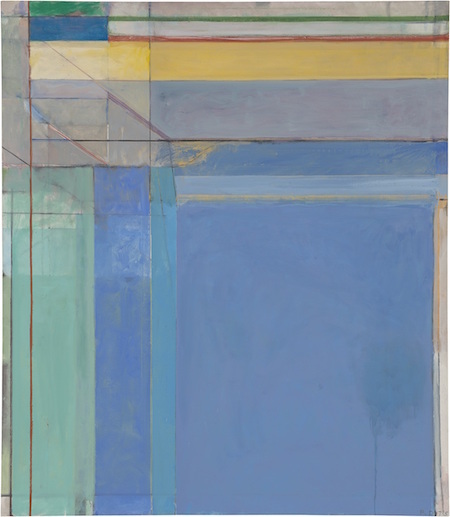 In Richard Diebenkorn's last years he moved back to Northern California from Santa Monica. Polar places of existence for many in the west. In Diebenkorn's work there is a difference in the light quality between the Ocean Park paintings created in Southern California and the more gestural and thicker pigmented works done in Northern California. It is too simplistic to ascribe these differences as solely about place. But I also find that my quality of vision differs as I view my paintings in these polar lights. Color seems to be more present, and perhaps more important, in my Southern California work. And space becomes expansive in my Southern California paintings as well. In San Francisco, the fog and the vertiginous landscape pull me close to the source. As his health failed, Diebenkorn painted less but continued to create etchings at Crown Point Press in San Francisco. One morning on a walk from my Market Street loft where I lived and painted in the 1990's, with a book by Robert Hughes in hand, I spotted Richard Diebenkorn leaning up against a BART entrance watching the cable car turnaround across Market Street. He was captivated by the movement of the conductors as they spun the car around on a giant wooden turntable. I stopped, leaned up against a wall, and flipped through art writer Robert Hughes' book Nothing If Not Critical until I reached his essay on Diebenkorn. I read slowly, pausing often to gaze up at Diebenkorn as he gazed at the forms moving across Powell Street. Eventually, I closed the book, walked over and thanked Richard Diebenkorn for his art and inspiration. He smiled and tears seemed to well up in his eyes, as he said "Thank you. I am glad that my work inspires you. Is your studio nearby?" 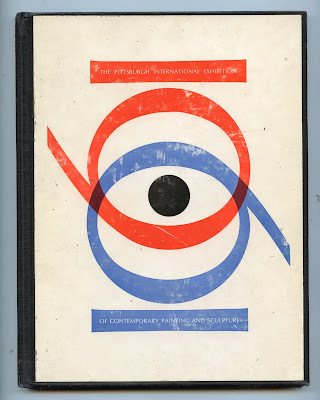 I nodded and tried to say something "about the interplay between figuration and abstraction in his work." Diebenkorn was frail at this point and seemed to know that he didn't have much longer to live. I didn't want to take him away from his moment alone in the morning light on Market Street. I thanked him again and moved on. Richard Diebenkorn died soon after in 1993. I didn't mention the USMC connection to Diebenkorn that day in 1992, but I often thought about it. I wasn't sure how my early years rolling in the dust of Combat Town in Camp Pendleton would inform my art. 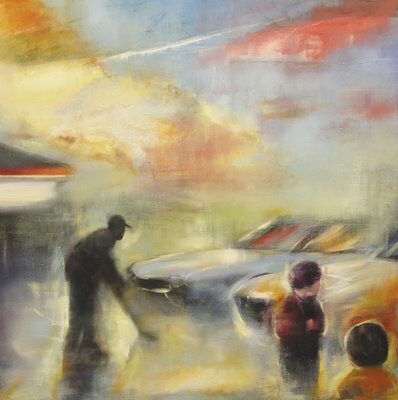 It seems that most artists have a childhood memory that continually resurfaces in their artwork. I had found camouflage paint sticks and learned a lot about discipline and hard work. As Elyn Zimmerman remembered in her thoughts about Diebenkorn as a teacher - "intensity, focus, and hard work." I also remembered the Evening Parade at the Marine Corps Barracks in Washington DC. In 2003, as a United States crafted coalition invaded Iraq, a new engagement with the Marine Corps and my art began. After September 11, 2001, I began a still continuing Buddhist inspired series of artworks. Saffron robed monks appeared to me out of my memories and flowed onto my canvases. The painting, Arlington, was inspired by the funeral of Chanawongse Kemaphoom 22, of Waterford, Connecticut. Chanawongse Kemaphoom was a United States Marine who was killed in action during operations on the outskirts of An Nasiriyah, Iraq on March 23, 2003. Chanawongse was assigned to 2nd Assault Amphibian Battalion, 2nd Marine Division, Camp Lejeune, North Carolina. 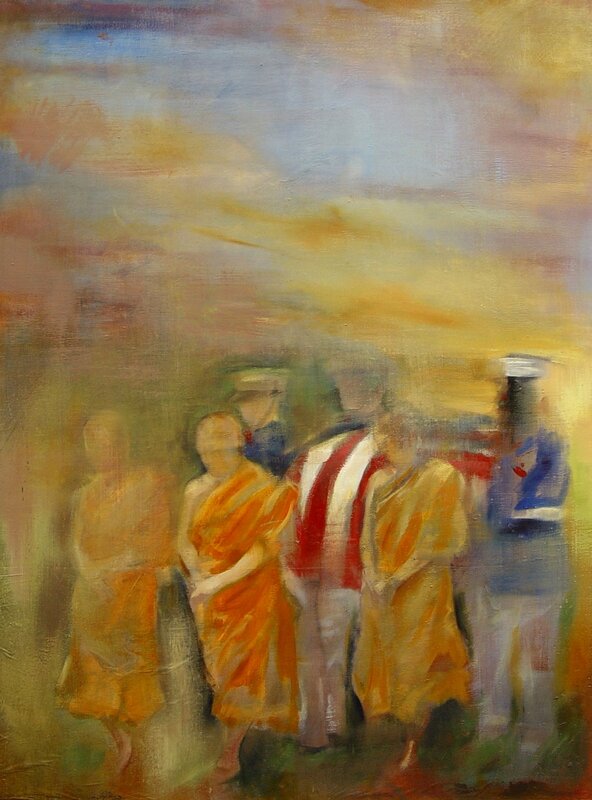 Chanawongse Kemaphoom was a Thai-American Buddhist, so his funeral at Arlington National Cemetery included saffron robed Buddhist monks as well as US Marines in their dress blues. "Seven monks swathed in saffron robes padded onto the moist grounds of Arlington National Cemetery yesterday, followed by six uniformed Marines in crisper pace bearing the coffin of a fallen comrade. Even in death, Kemaphoom Chanawongse, 22, straddled two worlds -- the Thailand he left when he was 9 and the America he ultimately gave his life for. The corporal died in Iraq March 23, 2003, in an ambush outside Nasiriyah. Friends and family called him "Ahn." His fellow Marines called him "Chuckles," for his sense of humor and love of laughter. Chanawongse's last letter home still brings a smile to his elder brother's face, albeit through tears. In a letter dated March 13 from Kuwait, where Chanawongse served with the 1st Marine Division, he joked about the art of playing baseball with a stick. He said his camp reminded him of the sitcom "M*A*S*H," although he preferred MAHTSF, for "Marines Are Here to Stay Forever. "As he stroked his brother's coffin yesterday, Kemapasse Chanawongse spoke directly to him for what he said would be the last time: 'Ahn, I love you. I am proud of you.'" My painting began as an image of a US Marine in Iraq silhouetted against a gunpowdered sky at dusk. 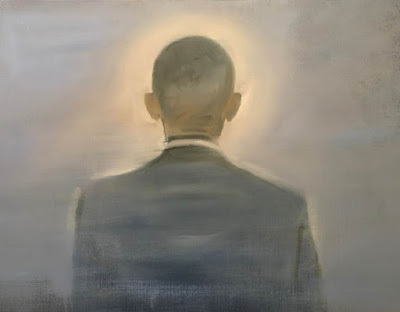 That painting was subsequently worked into and eventually over-painted with the present image when the reports and images in the New York Times of Chanawongse Kemaphoom’s funeral brought back childhood memories of watching “taps” played at dusk. In honor of Ahn Chanawongse and my father, my painting Arlington is in the permanent collection of the National Museum of the Marine Corps in Quantico, Virginia. "A trio of bench sitters takes the sun beside a lily pond in Schenley Park. 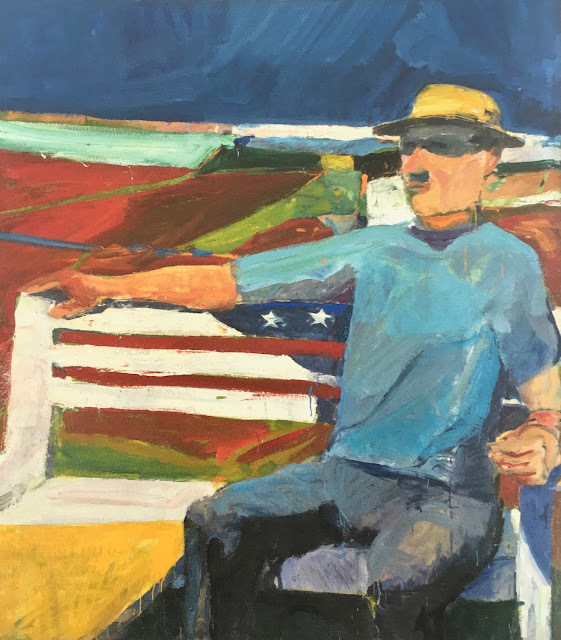 The silent fellow on the left occupies a patriotic bench devised by California Artist Richard Diebenkorn, who, with a blaze of colors, created a setting of hot fields and sky. He entitled the picture July." Photo by Ben Spiegel from the article Art Spectacle in Pittsburgh. 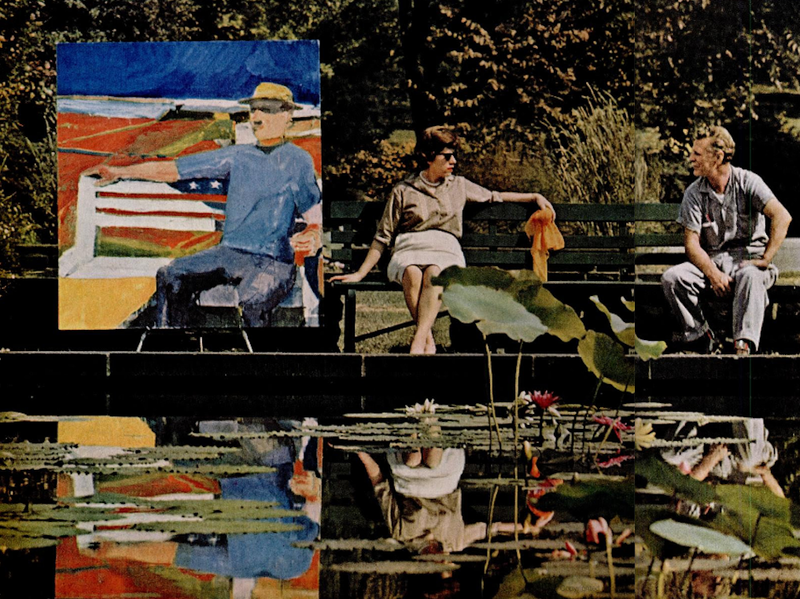 Diebenkorn's painting July was carried from the exhibition at the 1961 Pittsburgh International Exhibition of Contemporary Painting and Sculpture (Now the Carnegie International) and photographed by Ben Spiegel for the article Art Spectacle in Pittsburgh published in LIFE Magazine in December 1961. Even now as an observer 50+ years later, I fear for the painting. A gust of wind could blow the artwork into the pond. And furthermore, who in that Mad Men world decided that contemporary art was just a prop?